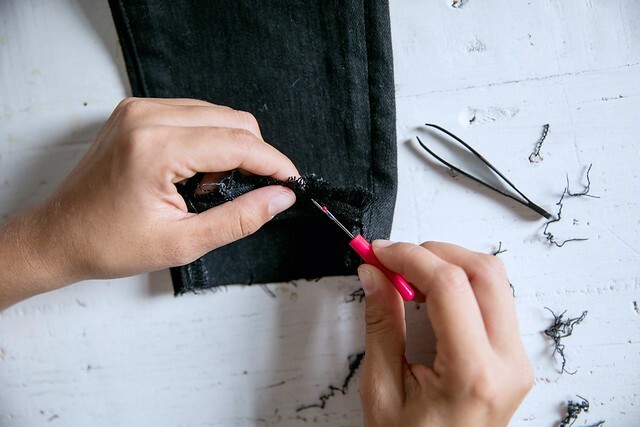 Following on from yesterday’s post all about denim, today we have a very quick DIY project for you – an easy way to create those fringed black denim jeans you’ve probably being seen everywhere. 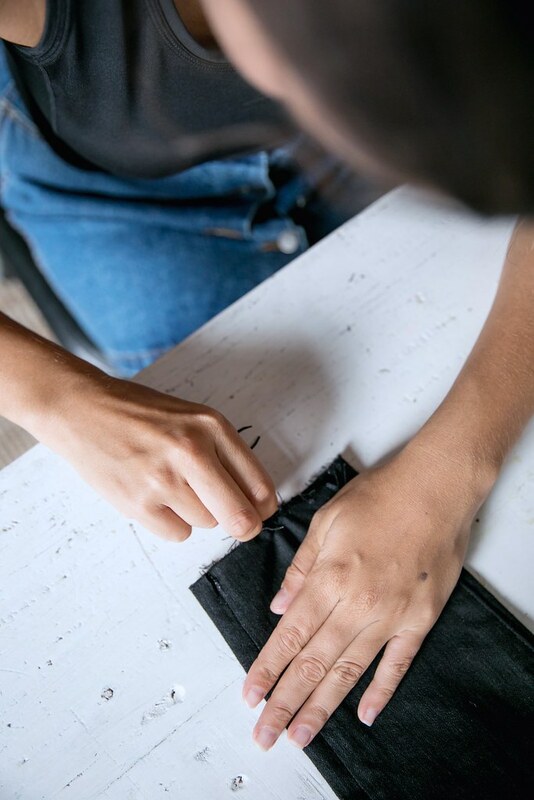 What I love the most about this is that it’s a style you can create this fringe and then cut it off later on down the track if you just want lightly frayed hems – the beauty of denim is in the flexibility! 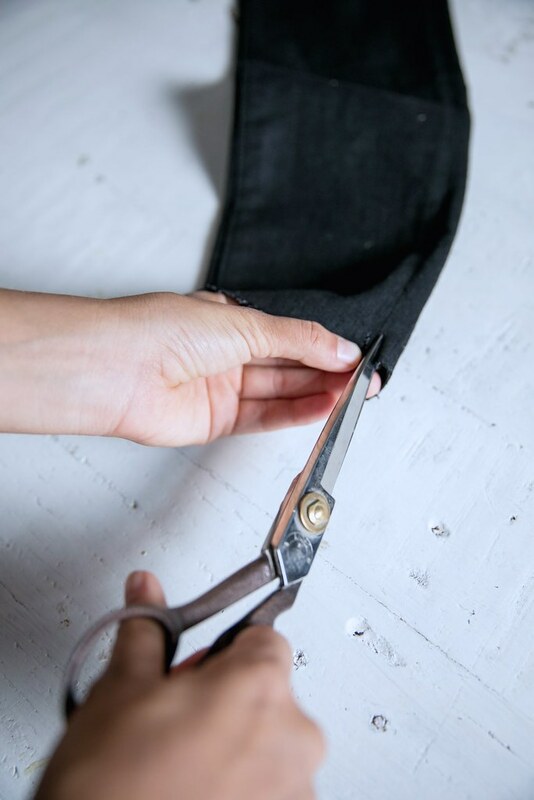 Cut the hem off the bottom of both legs. 2. 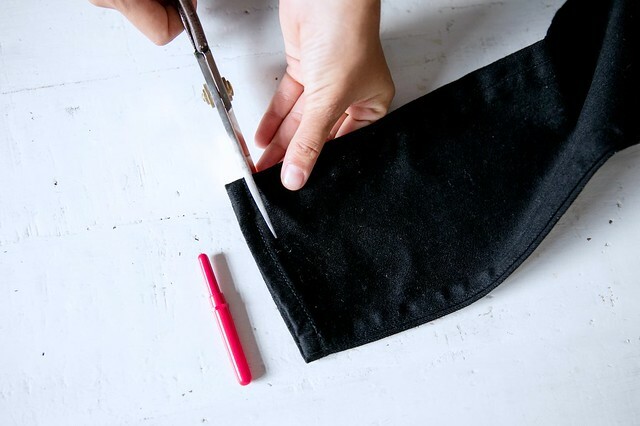 Make a cut at the side seams about 2cm up. 3. 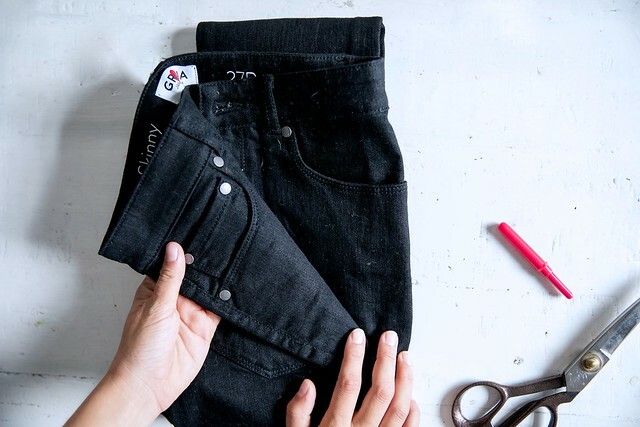 Using the un-picker, slowly tease out the threads from the denim to fray the raw edge. 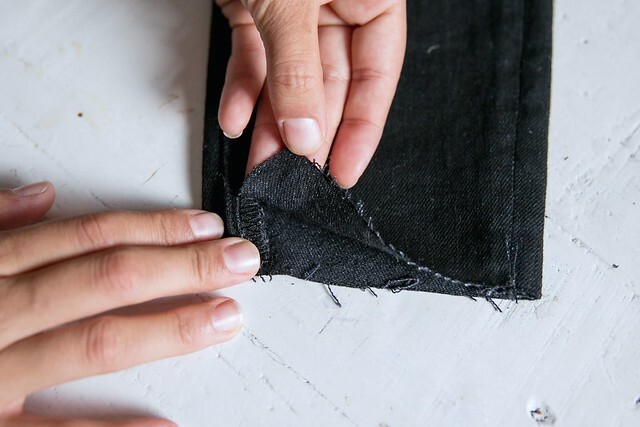 You want to make sure that you are removing threads that for horizontal, and leaving the vertical threads. 4. 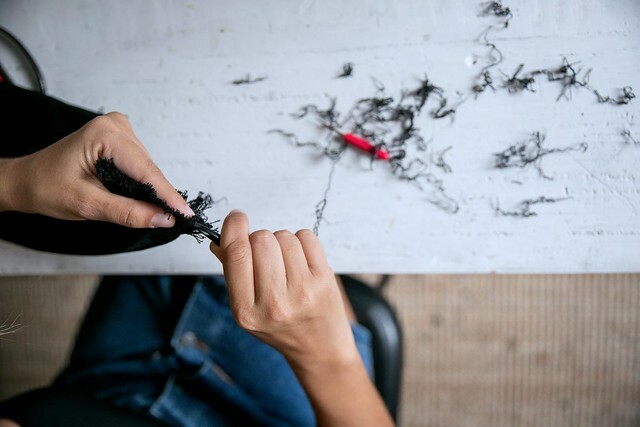 Use a pair of tweezers to aid in the fraying process pulling out any loose threads along the way (it gets a bit messy). Voila! You can give them a wash to soften the threads. Enjoy! 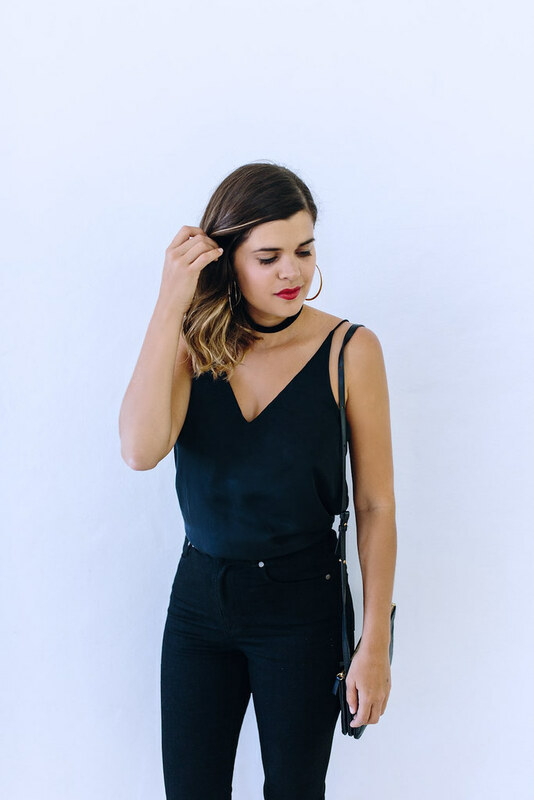 Wearing: Grana Denim jeans and tank, Celine bag, Sportsgirl hoop earrings, DIY velvet choker.